With a fleet of service technicians in nearby Fort Lauderdale, Quality Air Conditioning Company is ready at a moment’s notice to take care of any air conditioner repair or service in Pompano Beach. Whether you run a swimwear store in Beachway Shopping Center, a gift shop in Pompano Citi Center, or a boat rental on South Ocean Boulevard, you need to keep your place of business comfortable for both customers and staff. A sudden breakdown of your air conditioner in the height of summer might deter shoppers and irritate your employees. Quality Air Conditioning Company can be there at lightning speed to take care of your air conditioner repair. Our technicians are factory trained, experienced, and knowledgeable about many different air conditioner brands. At Quality Air Conditioning, we stock each of our service trucks with over eight hundred parts—so we’ll have everything we need onsite to complete your air conditioner repair. 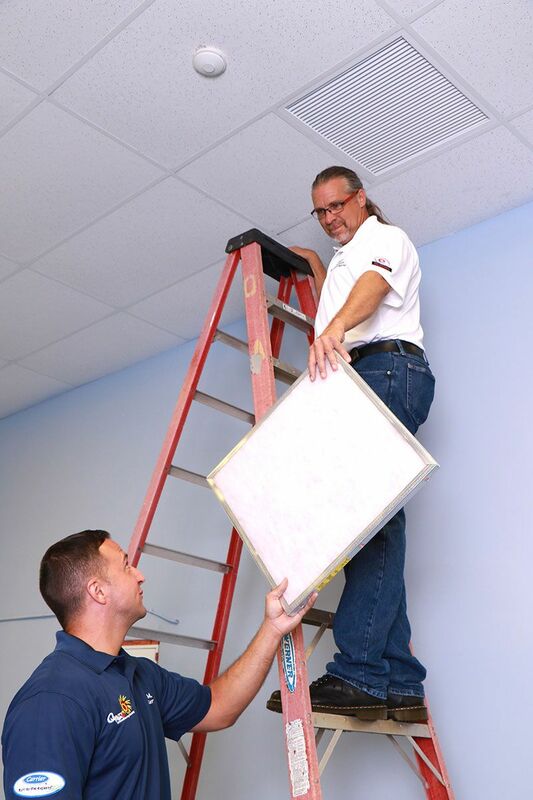 To avoid unexpected air conditioner breakdowns, Quality Air Conditioning Company offers business owners in Pompano Beach a choice of service agreements and maintenance plans. With regularly scheduled maintenance, your air conditioner systems will run more efficiently. And, with budget-friendly, pre-determined payment amounts, your company’s accountants will also keep their cool. You may love the picture windows, Dade Pine floors, and rounded archways of your home in Pompano Beach’s Kendall Green neighborhood. But the vintage air conditioner is not quite as charming as the home’s other classic features. Quality Air Conditioning Company will find you an air conditioner replacement that will perform better and save you some green on your electric bill. You’ve modernized your home in Liberty Park Estates, but the old air conditioner isn’t quite as cool as the gray tile backsplash and stainless-steel appliances in your remodeled kitchen. With an air conditioner replacement from Quality Air Conditioning Company, you could trade in that under-performing model for an energy-efficient, ultramodern air conditioner. Quality Air Conditioning Company is pleased to serve the people of Broward County’s Pompano Beach community. Perched near the Hillsboro Inlet of the Intercoastal Highway, Pompano Beach is an important part of the Miami metro area. Convenient to major South Florida cities, Pompano Beach has a rich history and culture all its own. Get a Taste of Jazz at Bailey Contemporary Arts, where exquisite wines are paired with intricate music. Partake of Pompano Beach’s best craft beer offerings at the monthly Old Town Untapped event. Enjoy Soulful Saturdays with South Florida soul artists at the Historic Ali Cultural Arts. For an air conditioner that will perform like a pro, cooling down your Pompano Beach property day and night, call upon the professionals at Quality Air Conditioning Company. With top-notch air conditioner repair, thorough air conditioner inspections, regular maintenance, and ‘round-the-clock service, the techs at Quality Air Conditioning will keep your air conditioner at its peak for many encore performances in the Pompano Beach heat. Call us at 954-971-1000, 954-830-7828, or 800-649-5415 to see how Quality Air Conditioning Company can serve you.